Is your small business still dealing with file cabinets full of folders and printouts? While some documents do need to be printed and stored, most can be digitized, delivering multiple benefits to your business. Here are four ways digitizing data helps you build a better business. Save money. Digitizing documents and storing them in the cloud helps cut costs. On a practical level, you’ll need less office space, since you’ll have fewer physical records to store. And you’ll spend less on paper and printer ink. Using Xerox Web Capture can help keep costs down as well: It works with any brand of scanner, so you don’t need to invest in new equipment. Save time. Storing documents digitally is faster than having employees spend hours printing, sorting and filing. Finding documents and information is easier, too. Instead of digging through file cabinets and folders, all you have to do is a quick search in the cloud. Agree on a standardized digital filing and naming system to make things even easier. Enhance collaboration. You know how frustrating it is when you’re working on a project at home or on the road only to realize that some key information you need is in a file back at the office. When your business data is available in the cloud, you and your employees can access it anytime, anywhere. Digitizing documents makes it easier for your team, freelancers and independent contractors to work together, even if you’re spread across the country or around the world. Improve data security. Printed documents are vulnerable to prying eyes, loss or even theft. When information is stored in the cloud, however, you can set security restrictions to protect the data. For additional security, choose a tool such as Xerox® Mobile Link that lets you add PDF passwords to documents. Decide where to store your data online. You probably already use one or more cloud-based storage services like Google Drive, Dropbox, Box, OneDrive and Office 365 to store and share files for your business. 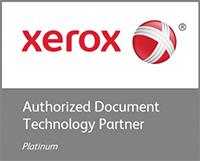 If so, speed up your document digitization process by using Xerox ConnectKey apps. Just download to a ConnectKey-enabled printer or multifunction printers (MFPs), and you can automatically connect to your cloud-based apps and email account. Xerox ConnectKey makes it easy to print from and scan to the cloud storage systems you already use. Be prepared to digitize data from anywhere. For data digitization to work, you need to do it consistently. That means you may have to digitize documents outside the office, such as signed contracts, purchase orders or completed customer forms. With the Xerox® Mobile Link mobile app, you can scan, fax, store and print documents with your phone or tablet. 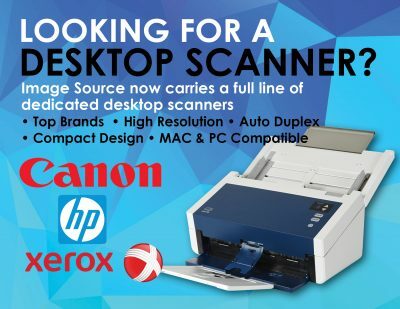 Just connect your devices with Xerox® multifunction printers to automatically send scanned documents to email contacts, cloud storage and Xerox MFPs simultaneously. Simplify data import to apps. Do you frequently have to transfer data from purchase orders, invoices or receipts into applications like Microsoft Office 365, QuickBooks or Salesforce? Then you know how what a chore it can be. Scanning paper documents, creating and renaming files, and importing them to an application is time-consuming. Xerox Web Capture simplifies the task. It works with most web-based applications, including Microsoft Office 365 and QuickBooks, to automatically scan documents and import them directly into your business apps. Properly dispose of digitized documents. Keep your data secure by discarding all sensitive paper documents appropriately once you’ve scanned, saved and stored them. Shred documents in-house or use a reputable shredding service to handle the job. When it comes to your data, it’s better to be safe than sorry.